just Google "Kenshikan Dojo Melbourne for directions"
Due to my involvement in the Interhigh Gasshuku on the weekend of 16-17 November, Nanseikan training will be at the Kenshikan on the Saturday. So Nanseikan training will be part of the first two sessions of the Gasshuku. Training will start around 9am, so get there normal time. 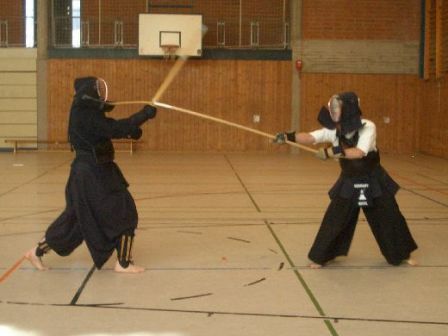 9am —10 am is scheduled for Kendo. 10.30am — 12.30am is scheduled as a Naginata introductory workshop. I'm really excited as I've only done Naginata once before! So next week, everyone will need to remember to take their bogu home, and bring it to Kenshikan the following Saturday.